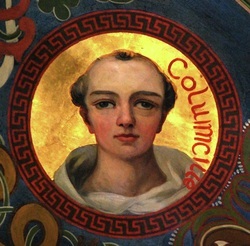 St. Colmcille (or Columba) is one of the three patron saints of Ireland: St. Patrick, St. Brigid, and St. Columba. 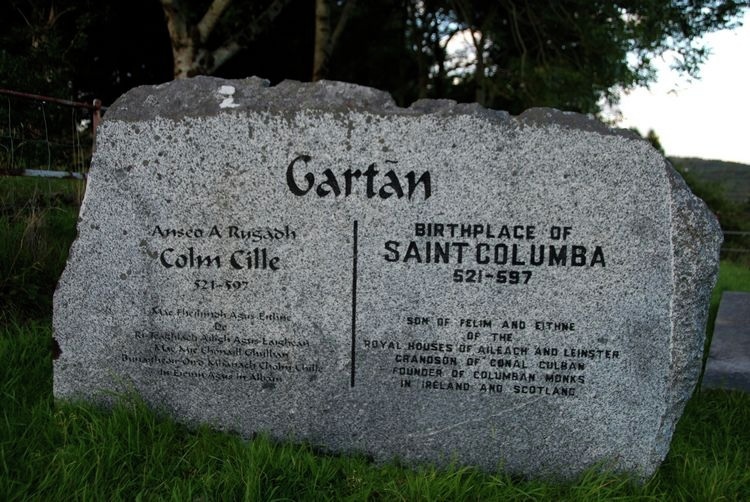 St. Columba was born in was born at Gartan, in County Donegal on the 7th of December 521 AD to his father, King Feidlimid MacFergus and his mother, Eithne, Princess of Leinster. He was a great-great grandson of Niall of the Nine Hostages. "Birthplace of Saint Columba 521-597. 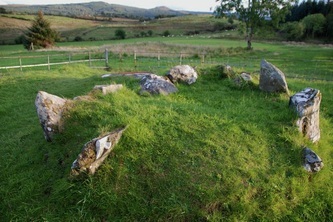 Son of Felim and Eithne of the Royal Houses of Aileach and Leinster. Grandon of Conal Culban. 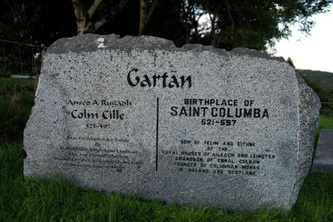 Founder of Columban Monks in Ireland and Scotland." St. Colmcille received his early education in County Donegal, the first place being at the village Kilmacrennan near Letterkenny. 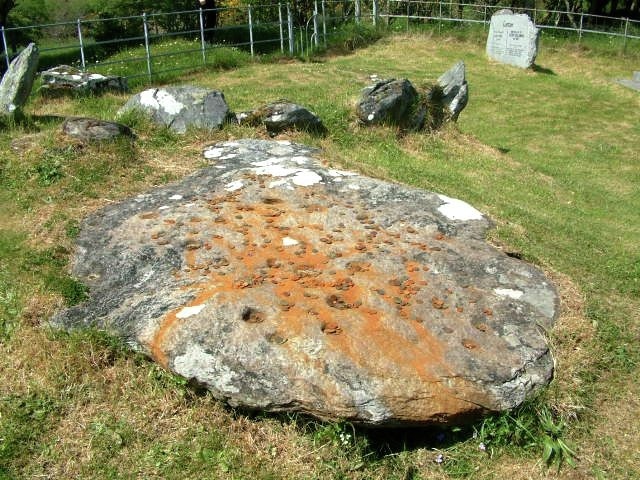 He was educated here from around 528 AD by his teacher, Cruthneachan who took him there from his home in Gartan. St. Colmcille later founded a monastery in Kilmacrennan which was in existence from the 6th century until 1129. Later a Franciscan Friary was built there (1537-1610) and one of the walls of this Friary remain to this day. 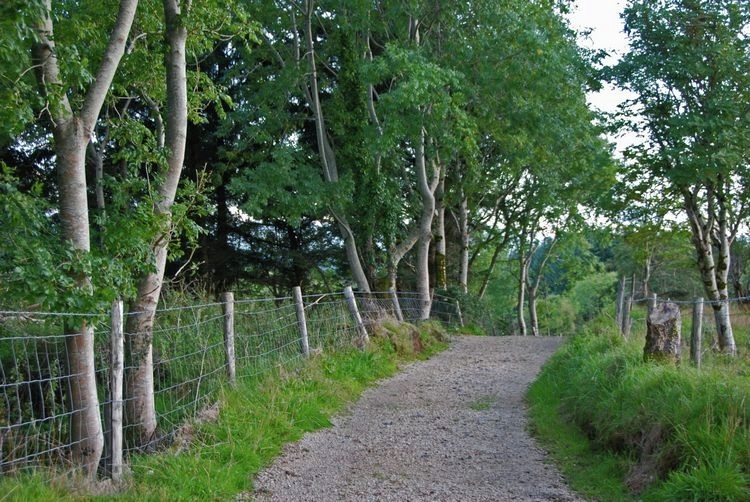 It was here too where the O'Donnell Chieftans had their religious rites of inauguration between the years 1200 and 1603 AD. He first landed on ............... but decided not to settle there as he could still see his beloved Ireland from there on a clear day. 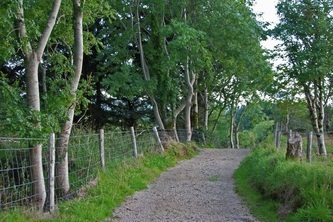 He and his monks travelled on until they reached Iona, a small island off the west coast of Scotland. 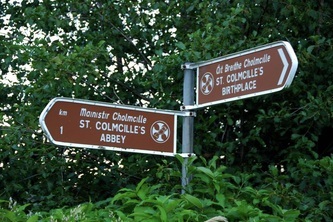 As would be expected, there are quite a number of churches named after St. Colmcille (Columba) in the county of his birth. 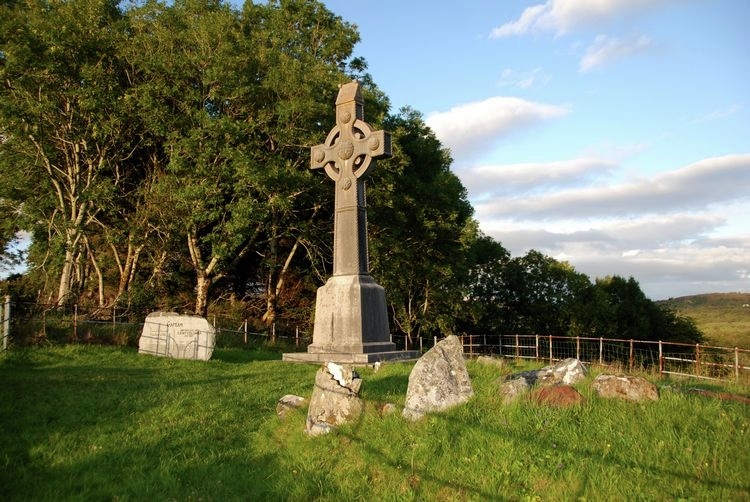 St. Colmcille died on the island of Iona, Scotland (where he began the famous Book of Kells). His monks buried him in the grounds of his monastery on Iona and many years later his bones were disinterred and are thought to be buried in Downpatrick, County Down, with St. Patrick and St. Brigid.